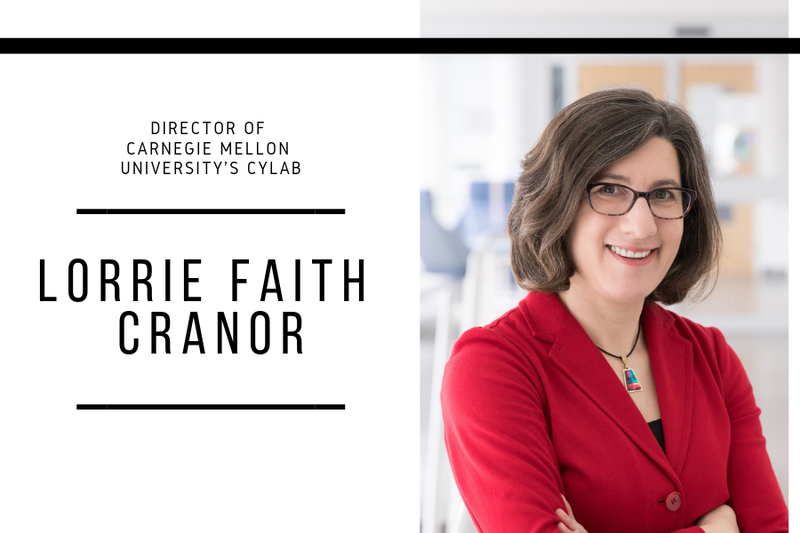 Lorrie Faith Cranor has been named the next director of the CyLab, Carnegie Mellon University's security and privacy institute, effective January 15. CyLab, founded in 2003, brings together security and privacy experts from all schools across Carnegie Mellon with the vision of creating a world in which technology can be trusted. Cranor is the FORE Systems Professor of Computer Science and of Engineering and Public Policy, and directs the CyLab Usable Privacy and Security (CUPS) Laboratory. She is a co-director of Carnegie Mellon's Privacy Engineering master's program, and served as Chief Technologist at the Federal Trade Commission (FTC) in 2016. An internal committee conducted a rigorous international search for director candidates. Cranor was selected for her leadership in the field and for her vision of the next phase of CyLab's growth. "Lorrie's extensive leadership experience and background, as well as her recent government experience as the FTC's Chief Technologist, make her an exceptional choice as CyLab's new director," said Jon Cagan, interim dean of Carnegie Mellon's College of Engineering. Having played a key role in building the usable privacy and security research community, Cranor co-edited the seminal book Security and Usability and founded the Symposium On Usable Privacy and Security (SOUPS). She is a co-founder of Wombat Security Technologies, Inc, a security awareness training company. Cranor has authored over 150 research papers on online privacy, usable privacy and security, and other topics. Her current research projects include password usability and security, privacy for the Internet of Things, and development of meaningful and usable privacy notices and consent experiences. Before joining the Carnegie Mellon faculty, Cranor received her doctorate degree from Washington University in St. Louis and was a member of the secure systems research group at AT&T Labs-Research. She is a Fellow of both the Association for Computing Machinery (ACM) and the Institute of Electrical and Electronics Engineers (IEEE), and she is a member of the ACM CHI Academy. Cranor's appointment follows that of Douglas Sicker, Head of Carnegie Mellon's Engineering and Public Policy department, who has served as CyLab's Interim Director since September 1, 2017. Sicker stepped in after the previous director, Electrical and Computer Engineering professor David Brumley, took a leave of absence to help grow his startup company, ForAllSecure.